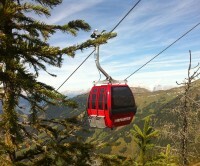 packages .at - the easy way to find the ideal package for your holiday in austria. Shortly away from everyday life, really relax and enjoy. The combination of natural spectacle and culinary delight will be perfect for your escape! If you need a change of scene, then our "Short Break" surely is the right thing for you. 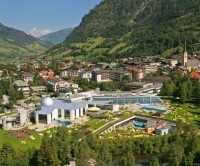 Gastein Healthweek (1 week)INCLUDING UNLIMITED ALPENTHERME ACCESS! 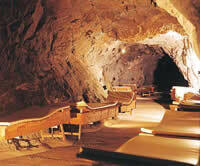 therapy for pain relief, regeneration and relaxation in the Gastein healing cave! 4 treatments as prescribed by a physician*INCLUDING UNLIMITED ALPENTHERME ACCESS! 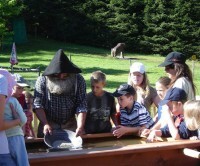 Experience a exploration voyage together with your children. For our little guests (from 3 years) our hotel offers its own Kids Club, with many fun activities like table tennis, table football and much more. And the very best thing: Children up to 12 years are free of charge in the room of their parents. 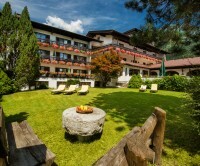 Let your soul soar with a wellness week at Johannesbad Hotel Palace in Bad Hofgastein. 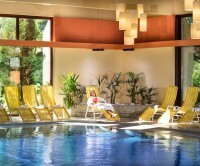 Gastein’s healing thermal water, which fills our spring-fed, indoor pool, is available to you for an entire week. Re-energize with Yoga, surrounded by the silence of a marvelous mountainscape. Stimulating yoga exercises strengthen the cardiovascular and immune systems, relaxing and meditation exercises make your mind stronger and provide inner harmony. The workshop is suitable for beginners as well as more experienced participants doing yoga regularly. Speaker: Rakesh Nanda, yoga instructor and Prana therapist from India.